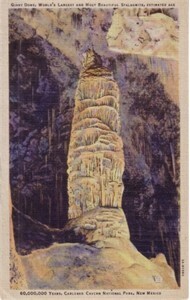 Original vintage color postcard of New Mexico's famous Carlsbad Caverns (Giant Dome). Undated but probably from the late 1940s or early 1950s. 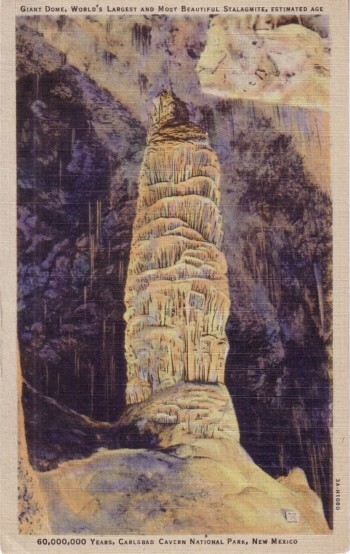 Genuine Curteich-Chicago Post Card. UNUSED. Has minor corner wear. ONLY ONE AVAILABLE FOR SALE.